Perfect! Was easily installed and I now have my lower cleff back! 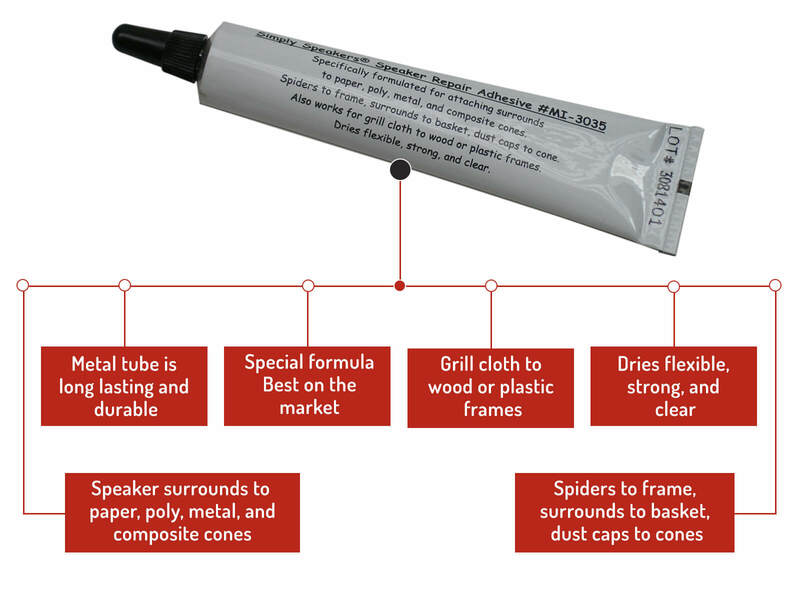 Very good construction and the repair directions were simple and easy to use. I completed the repair in about 20 minutes without a hitch. I've used 'Simply Speakers' rebuild kits for a pair of McIntosh XR-5 vintage and really like the kits.. They work well. 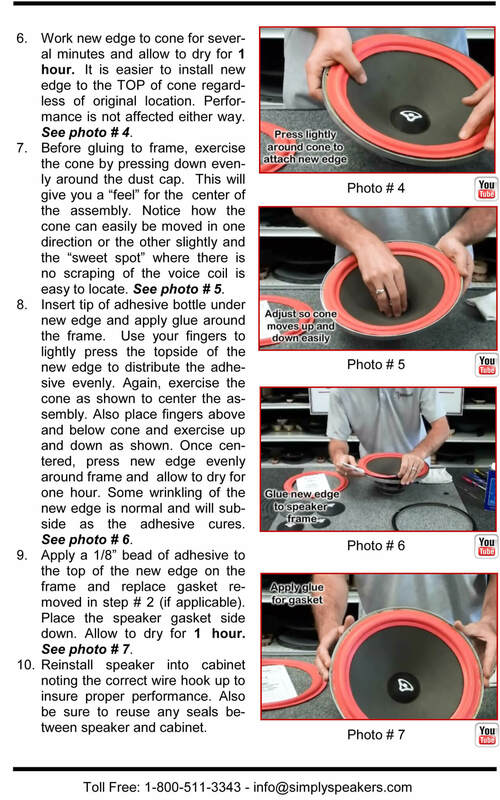 but do require patience and care.. unfortunately, on rebuilding the woofers, the voice-coil alignment was compromised.. so now I'm looking for drop-in replacements. my Mcintosh xr5 speakers turned out great! I will order from your company in the future thank you! I now have a new skil! I was apprehensive about taking on this project, but after talking to a friend who has done it and more importantly watching the video it was a "piece of cake". 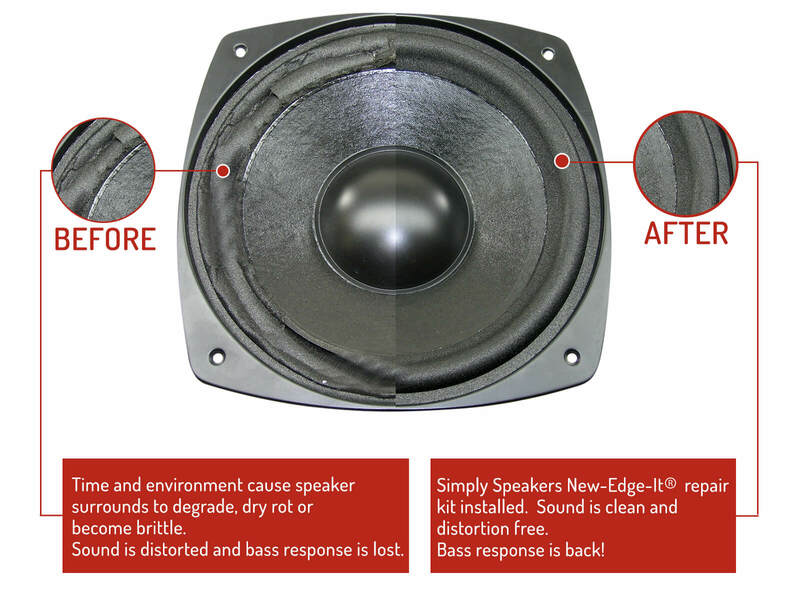 Repaired 6 speakers, progressively becoming more confident after each one. Had one question, answered by phone and the whole process was extremely satisfying. Give it a try - its fool proof. Great product for the money! Great support and service also. Directions were spot on and made my 35 year old speakers sound like new again. 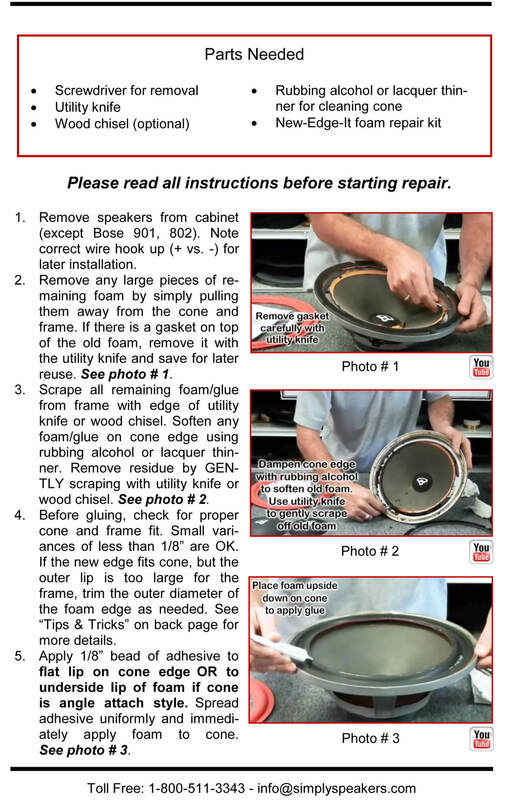 Q: Actually several questions,:...Is this the correct kit & part number to re-edge the 4 - 12" woofers used in McIntosh's XRT-20 speakers? Are the cardboard edges going around the circumference on top of the foam and mounting screws included, mine are missing..? 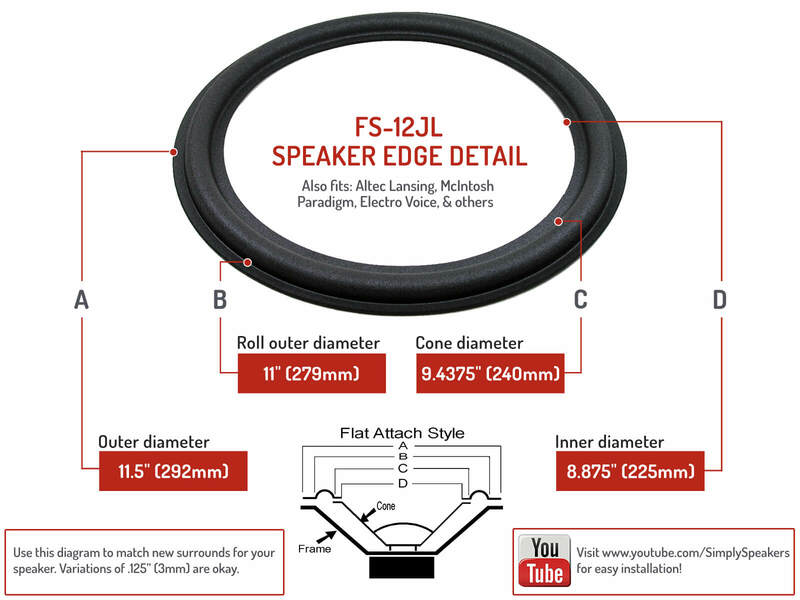 Is everything I need in this kit to re-edge the speakers? Is one kit enough to do both drivers in both left and right channels,...a total of 4 woofers in all? 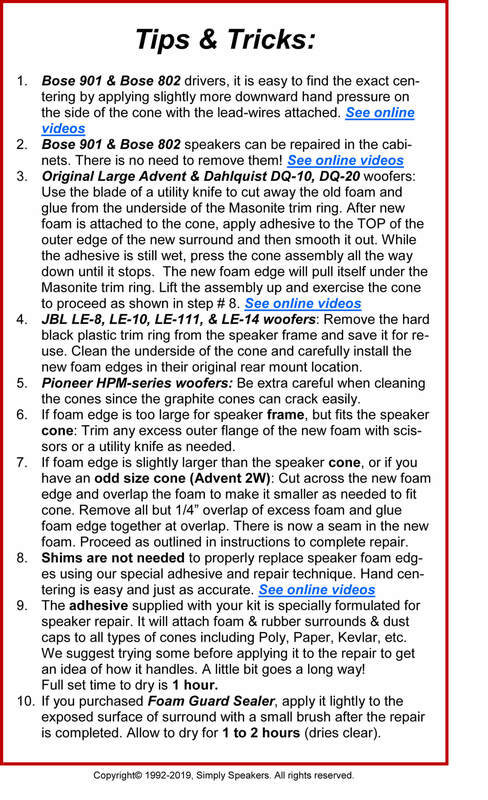 Do you recommend buying the edge coating purchased separately, that is painted on the edge of each woofer once installed to slow or stop foam decomposition, and does it 'color'the sound in any way versus not coating ? Thank You, Philip. 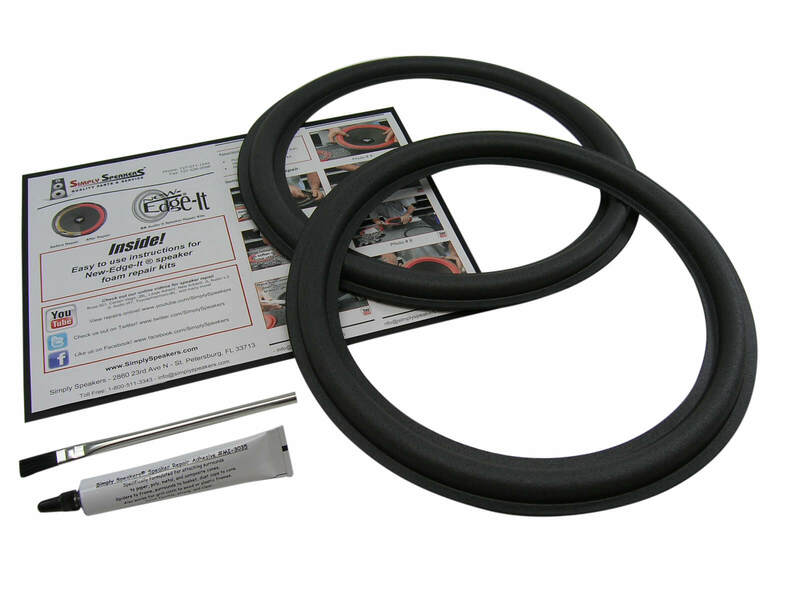 A: Yes, this is the correct kit for the four woofers in the XRT-20 system. 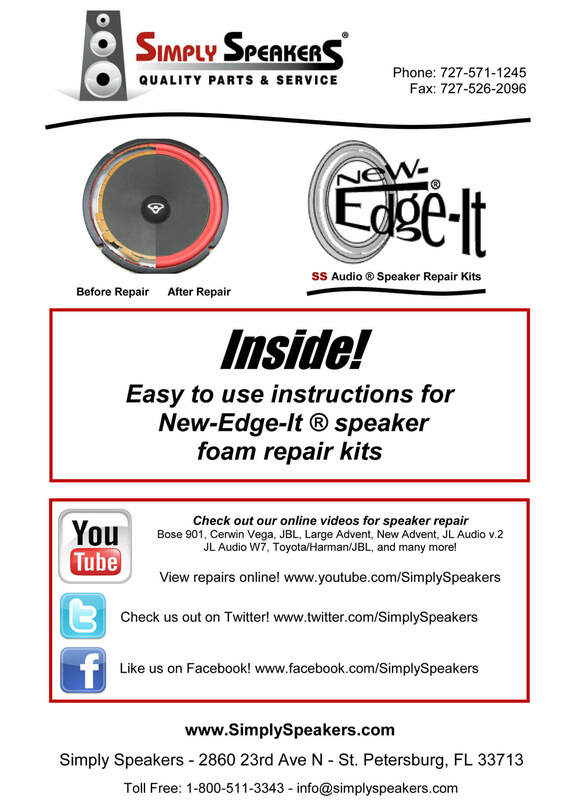 Order two kits to repair all four woofers. The original McIntosh woofer design does not use the gaskets. Instead, the foam is simply glued to the frame and this completes the repair. The PVA edge sealer is a great way to treat the surrounds to extend life and it will not alter or "color" the sound in any way. McIntosh: 36001,MC-1,MC1,ML-1C, ML1C, ML-2C, ML2C, ML-2M, ML2M, ML-4, ML4, XR-16, XR16, XR-19, XR19, XR-5, XR5, XR-6, XR-7, XR7, XRT-20, XRT20, XRT-22, XRT22, XR-240, XR240, and many more!